Kyra wanted to surprise Rocky with this hand-finished platinum band. It has a hammered finish which has been satinised. 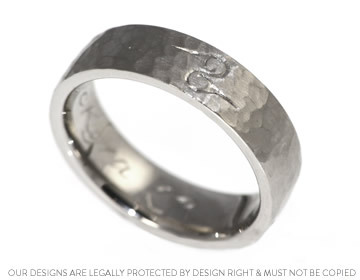 The band is 6mm wide with a reverse D profile and an engraved Indian love symbol on the front.